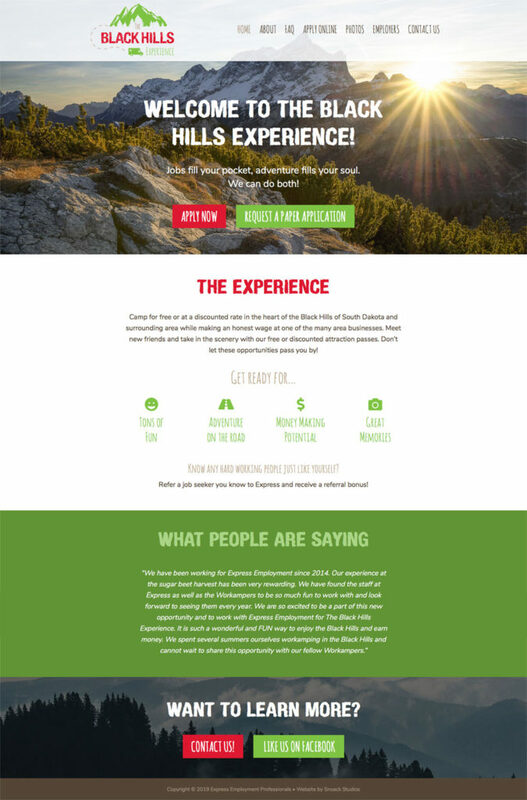 We recently launched a bright and beautiful custom website for a new venture, The Black Hills Experience, a job placement company helping workampers find work in the beautiful Black Hills area in South Dakota. The design features picturesque photos of the striking landscape and is paired together with fun font choices and bright, eye-catching colors that draw users in. The interface is also easy to use, allowing users to apply for the experience online, filling out all of the paperwork quickly and easily. Check out the new site at theblackhillsexperience.com. The website is powered by WordPress and is a completely custom design. We originally designed the logo, giving the brand a fun and exciting personality that continued on to the site. We chose a couple of handwritten fonts that give a youthful appearance and are used throughout the site, with bright red and green colors that bring excitement and adventure in. Large, beautiful photography of the Black Hills landscape are used on every page, giving users a sense of what they will see in the area, and also giving the site a lot of personality. We wanted the application buttons to stand out and be easily visible for new users coming to the site wanting to apply, so those are front and center at the top of the homepage banner area. Testimonials can also be seen at the bottom of the homepage, allowing users to see what others have thought of the experience. The application process is streamlined and easy to follow along for new people coming to apply, as well as those that are returning for another year and need to change a few things on their application. 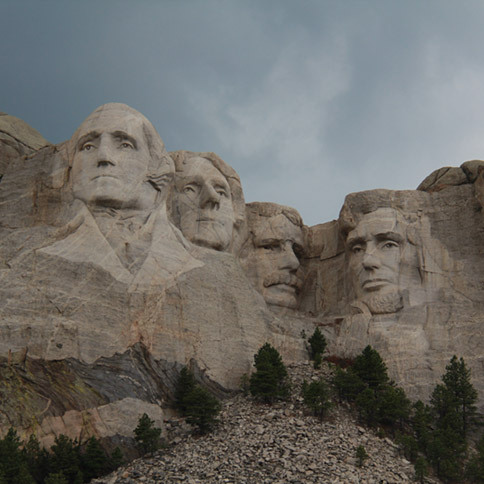 Overall, the site has a lot of character and gets people excited for the fun time they will have in the Black Hills! We have worked with Shannon and Snoack Studios on multiple projects and each time she has over delivered. Recently, Shannon created a website for our new business project. We were on a very tight timeline and she managed to be done ahead of schedule. Our site is user friendly, eye catching, fun, and exactly what we wanted. Snoack Studios is a no brainer for all your design needs. Thank you Alyssa! We had a great time working with Express Employment Professionals, always a pleasure, and really enjoy how the new site came out. Check it out and consider applying at theblackhillsexperience.com. Let us know what you think in the comments below!